Progressing from one stage to another in a single series of steps; sequential. Linear is a progressive and inclusive hair salon located in the Heights area of Houston, TX. With a focus on precision haircutting and expert color techniques, we aim to make your day and exceed your expectations in a fun and relaxed environment. New Clients: We encourage you to schedule a complimentary consultation prior to your first appointment to discuss your vision. Our Stylists will create a customized approach specific to both your short term and long term hair goals. With over 20 years experience in the industry, owner Jim has built his success on one main philosophy: being a “day maker”. Jim’s gregarious personality and passion is contagious and compliments his precision hair cutting and coloring techniques. Originally from Grand Rapids, Michigan, Jim relocated to Houston and graduated from Visible Changes University in 1997. Jim has extended his knowledge base with annual continuing education classes through Vidal Sassoon Academy, L’Oreal Professionnel, Ted Gibson, Aveda, Ruth Roche, Kérastase and Shu Uemura, among others. Jim has dreamed of owning his own salon for many years and is thrilled to share his passion with his clients, growing team and our community. A native Houstonian, Lina graduated from Paul Mitchell the School in 2016. During school, she worked at the front desk of Azur Salon and after graduation, apprenticed under Jim Bagley for nearly 2 years. In January 2018, Lina joined Linear Salon and is a Level I Stylist. Lina loves the indescribable feeling she gets from giving her clients fabulous hair and providing a brief escape while they are in her chair. "The endless creativity and ongoing education this industry provides fuels my passion and inspires me to continue growing and to help make someone's day, everyday." Growing up in the beauty industry, Jennifer completed her cosmetology license in high school and after pursuing a career outside of hair, she made her way back to the industry and spent 3 years at Azur Salon. During this time, Jennifer has continued her education and completed cutting classes with Toni & Guy and L'Oreal Balayage Certification classes. Jennifer joined team Linear in March of 2018 and is a Level II Stylist. "I love making women look beautiful on the outside and feel beautiful on the inside. Having the opportunity to listen to my clients needs and help make their day better is a privilege. Hair is my passion and I love creating custom color, cuts and styling." Born and raised in Houston, Natalie has been a receptionist in the salon industry for three years and aspires to be a hair stylist. When she’s not working, she loves playing volleyball, softball, and watching movies. After a successful career in book publishing, Amy decided to pursue her passion for all things hair. She went to beauty school and started doing hair in Houston 10 years ago. Amy’s love of learning drives her as she studies extensively to grow her skill set as well as share her knowledge with other stylists as an Artist for L’Oreal Professional (since 2012). Amy is certified in color, cutting, and balayage. Amy’s focus is on enhancing and contouring her client’s natural beauty as well as creating modern, maintainable styles that work with the hair instead of against it. 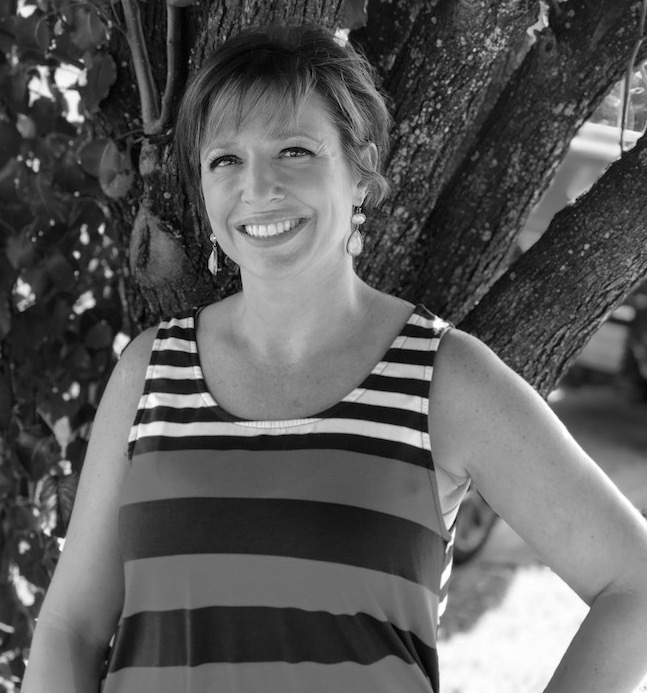 Amy worked at several local salons as well as had a two-year stint owning her own salon. All of this led her to where she is today. She is so excited to have her career come full circle; she trained at the original Azur next to Jim Bagley, the owner of Linear Salon!